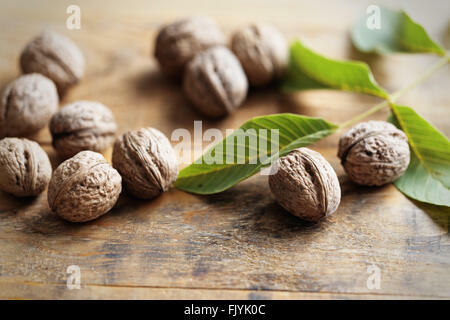 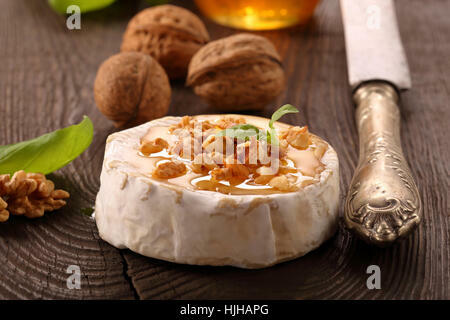 Walnuts on a wooden table in retro style. 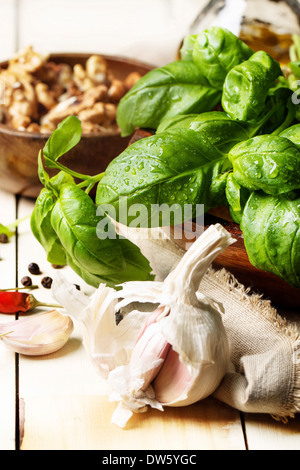 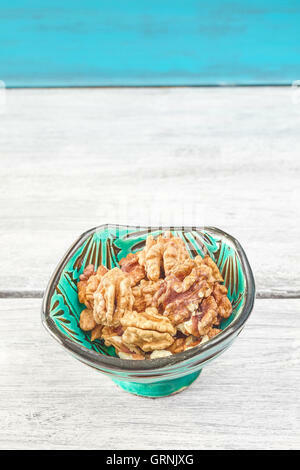 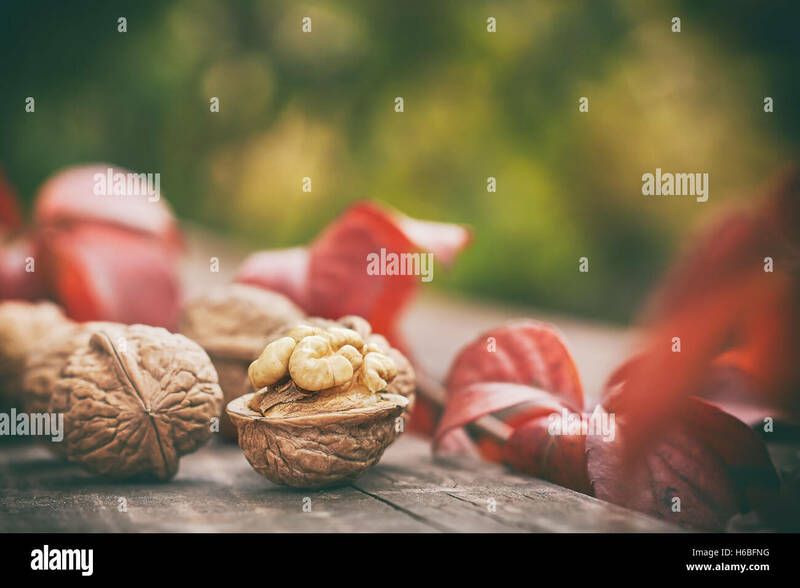 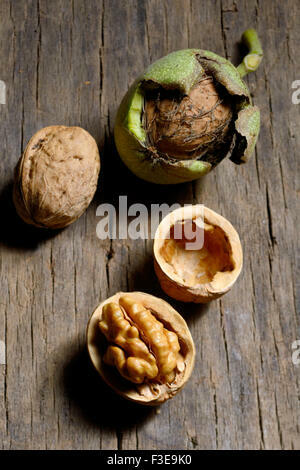 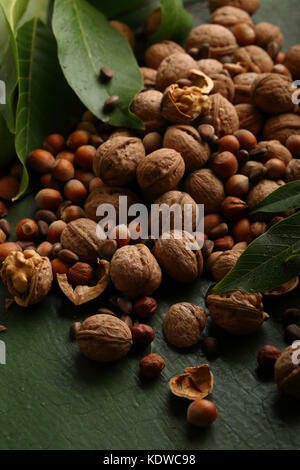 Walnuts in a green bowl on a rustic table, space for text. 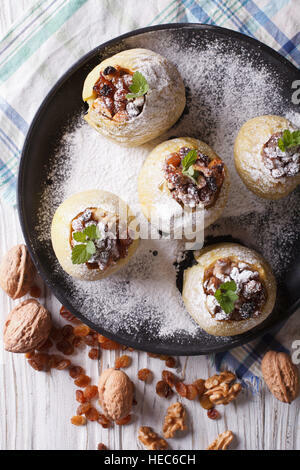 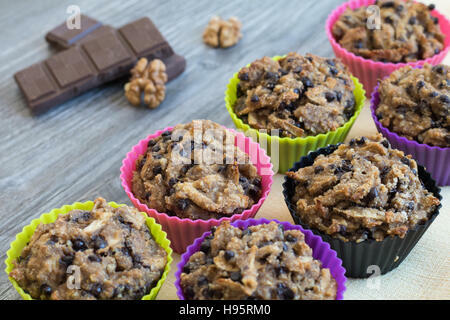 Fruit muffins on a yellow napkin and a grey wooden table. 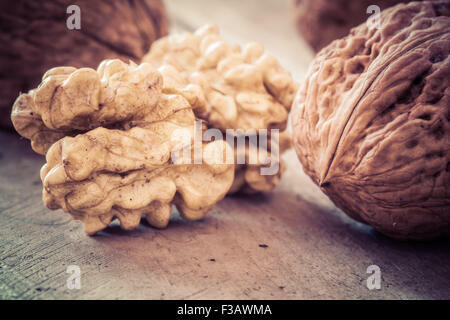 Walnuts and chocolate in the background. 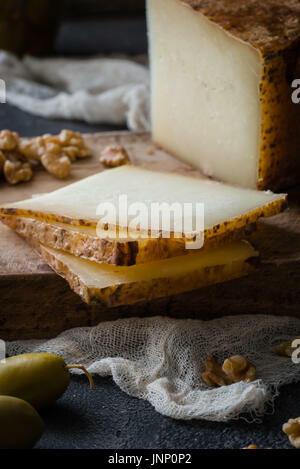 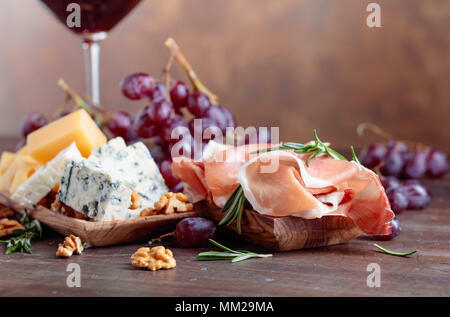 Prosciutto with various cheeses , grapes and walnuts on a old wooden table. 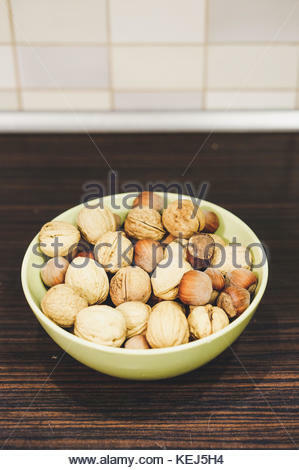 Copy space .